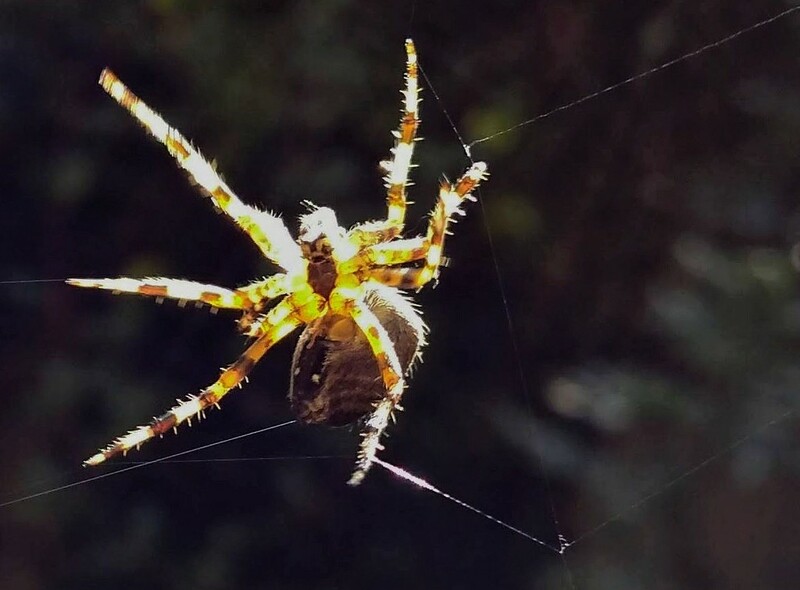 This expert engineer zipped around constructing his web incredibly quickly and efficiently. Looks good to me - hairy legs! Great moment! I do like it! Nice focus on this busy guy. It is amazing to watch a spider construct a web. Cool close up with great lighting! Fav for the detail but if I have nightmares, I will know who to blame!!! Yikes! @hermann he wouldn't keep still! Great catch - great shot. Nice shot, they are fun to watch. Am I seeing a smiley face. @yaorenliu Or a grumpy fce? @madeinnl So many of them. And they seem to get bigger each year!